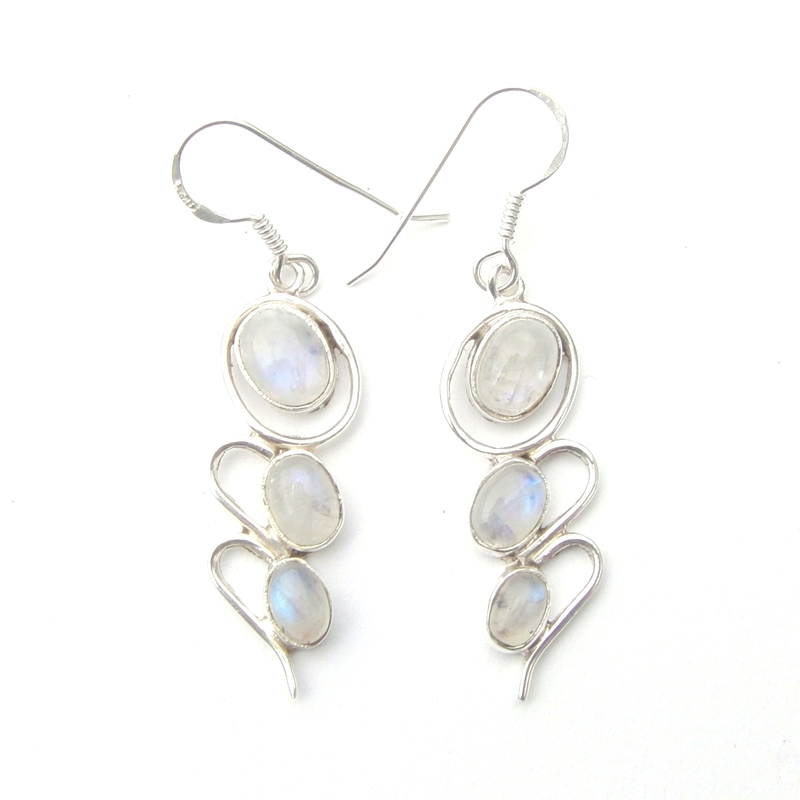 Beautiful Rainbow Moonstone 3 Cab Earrings. These Lovely Hand Made Silver Rainbow Moonstone 3 Cab Earrings have 3 Pretty Oval Cabs which graduate down in size from top to bottom. From 8mm x 6mm, to 7mm x 5mm & finally a 6mm x 4mm. They are Nice Large Earrings and are almost 5cm long incl hooks. Matching Pendants are also in stock. This website is strictly for approved Wholesale customers only, if you are looking to purchase these Rainbow Moonstone 3 Cab Earrings from a retail store, please visit Shooting Star.